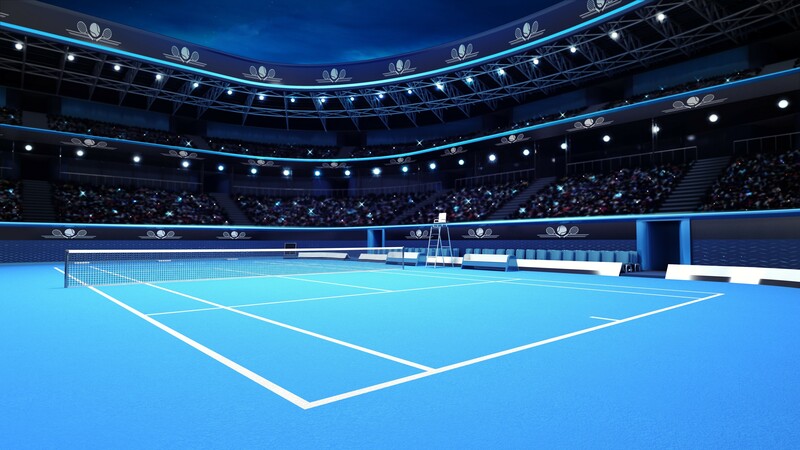 Modern tennis court surfaces offer significant advantages for tennis and other court sports, including consistent ball bounce and speed, safe comfortable play, and excellent resilience. These surfaces also require very little maintenance, making them a cost-effective choice for maximum return on your investment. 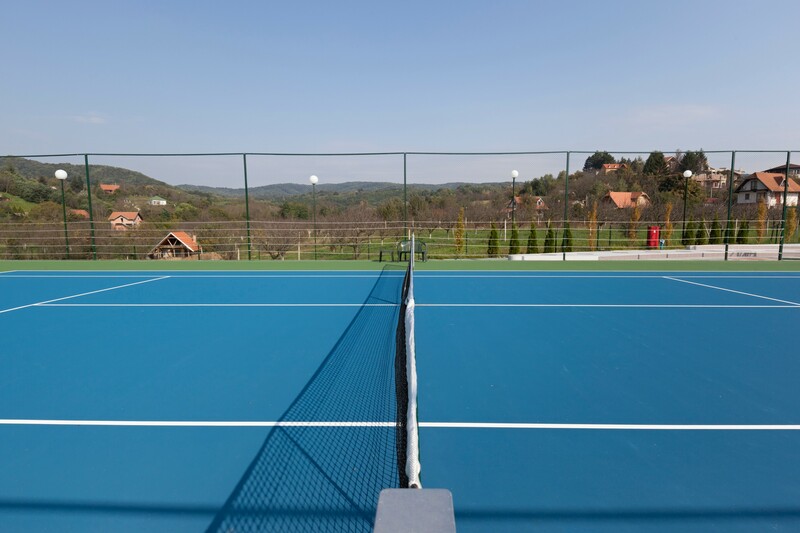 Basic maintenance can often be carried out in-house, and even full tennis court resurfacing is relatively inexpensive when it is required. 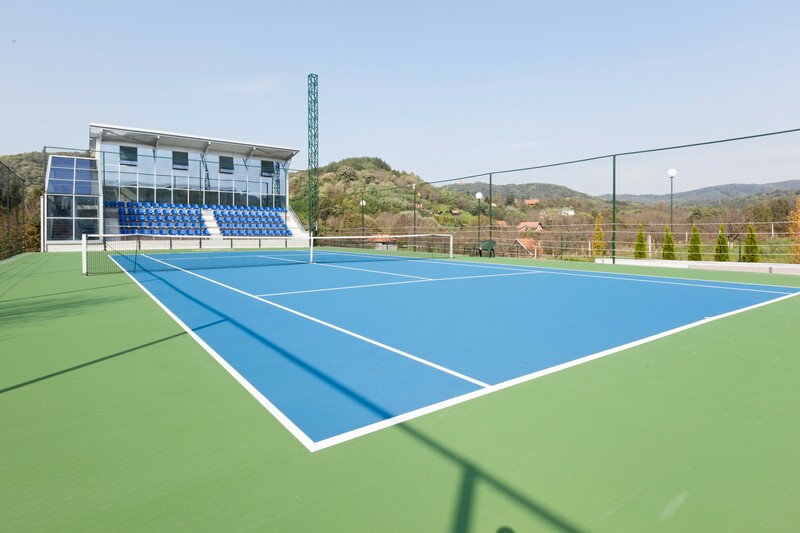 With more than 30 years’ expertise in providing all manner of sports surfaces, including acrylic tennis courts, ETC Sports Surfaces offers solutions that are designed, installed and maintained to the highest standards. Clients including schools, clubs and private courts return to us time and again to upgrade, revitalise and maintain their sporting facilities. 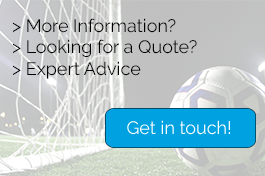 You can find out about sports surface solutions for previous clients here. 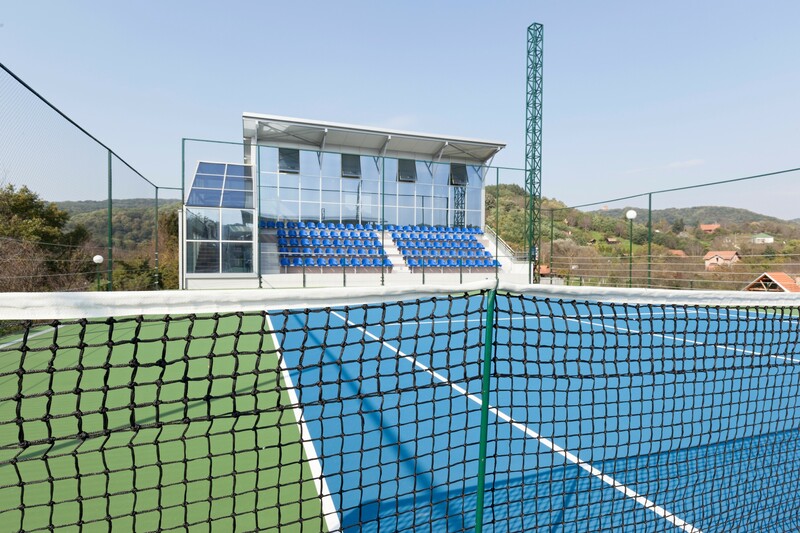 Which types of tennis courts are right for your facility? Impervious Acrylic Surfaces: Constructed by layering multiple acrylic finish layers onto an impervious concrete base, this surface is available with a cushioned or non-cushioned finish. Ball speed and bounce can be tightly controlled by adjusting the level of texture and cushioning in the surface. This makes for excellent play conditions at any standard, including professional play. The impervious nature of this surface means that careful design and installation are vital to protect against water settlement or frost damage, safeguarding the lifespan of your acrylic sports flooring. 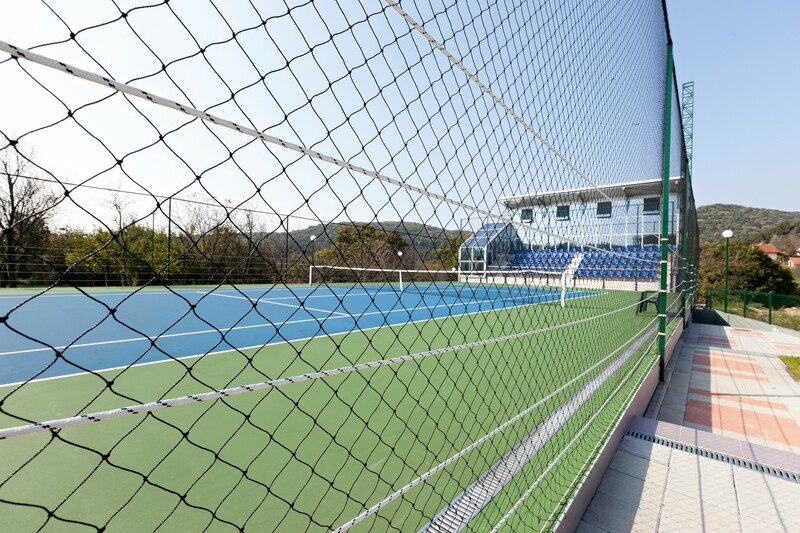 Porous Acrylic Surfaces: An increasingly popular choice for many UK clubs, this acrylic solution imitates the playing performance of an impervious surface whilst also benefitting from free draining properties, achieved through the combination of a binder and surfacing course beneath the acrylic finishing surface. 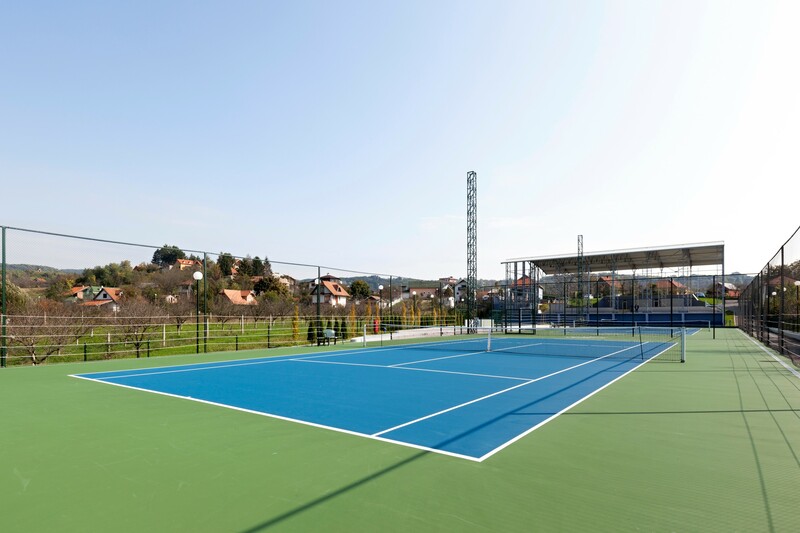 Laid on a porous asphalt base, this tennis court surface ensures consistent play conditions over long periods of time. 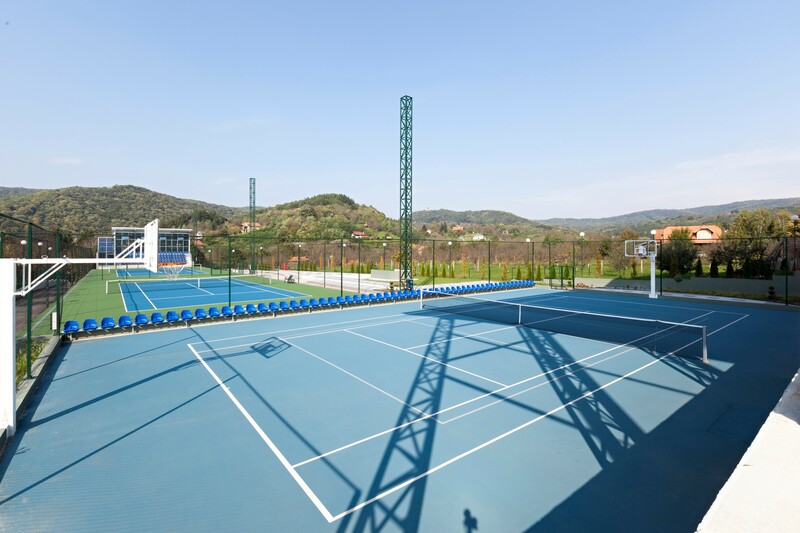 To ensure the integrity and performance of acrylic tennis courts, SAPCA issues a clear code of practice to guide the installation process. It’s vital that your contractor adheres to these standards to deliver performance and longevity for your club and players. ETC Sports Surfaces is an approved member of SAPCA. We comply fully with their code of practice as well as strict Health & Safety standards for your complete peace of mind. A free, no obligation site survey. Professional design and installation of your acrylic surface. Exemplary on-site workmanship – approved by SAPCA and CHAS and ISO 9001 accredited. Competitive care and maintenance packages to protect your surface. 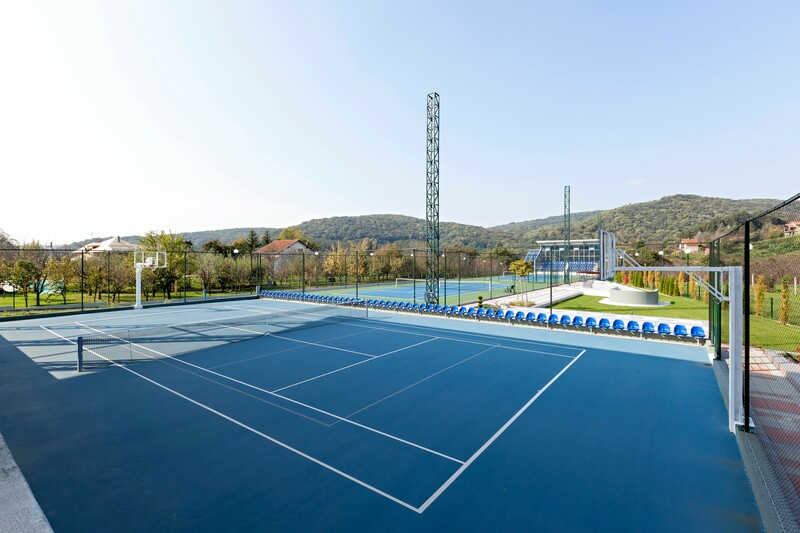 If you are considering installing a new acrylic tennis court surface, or need to resurface your current courts, contact us for friendly, professional, no obligation advice.